OMG! No day-night Test matches in New Zealand tour of India :-The millions of the Indian Cricket fans must be disappointed with the news coming that, India is not scheduled to play the Day and Night Test match during the series against the New Zealand. India and New Zeland will play their first test match on 22 September 2016, which will start at 9:30 AM. The Kane Williamson’s led side is one of the four team who are scheduled to tour India. The BCCI’s president Anurag Thakur announced that “BCCI was thinking about organizing a Daya nd Night Test match but due to lack of the resources we are not able to organize this historic test match in the New Zealand series”. 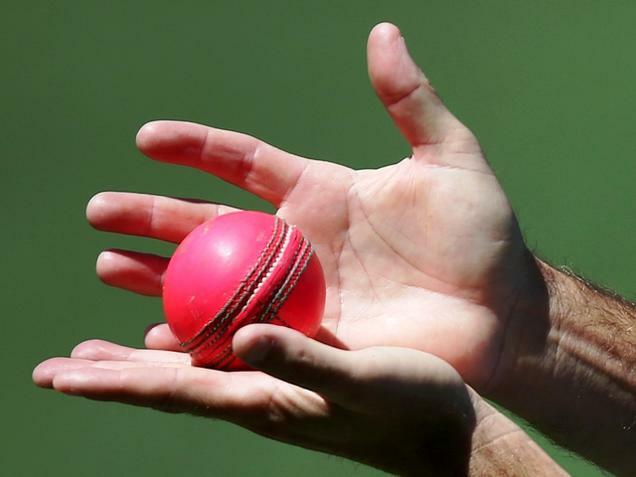 It is also believed that BCCI has offered the New Zealand board to paly the test match with the Pink Ball but they has not shown any interest. New Zealand has already played Day and Nigh Test match against the Australia on December which they lost but pacers from both the teams had performed brilliantly in that test match. Meanwhile, Anurag Thakur told the media wing that BCCI was has planned a day and night match for the Duleep Trophy and we were looking to organize Pink ball International test match based on the feedback from the Duleep Trophy from the regular Indian Players”. The Duleep Trophy will be played in early week of September but it is looking right know that BCCI could not wait for the Duleep Trophy to get the feedback as Indian team will return from the West Indies tour in the month of September. And it is not possible for the Indian players to participate in the Pink Ball match in the Duleep Trophy as BCCI organizing a Mini IPL OVERSEAS which is scheduled for two weeks and it will be unfair if board will not give the Indian Team a break from Cricket. Well, whatever is the reason but the main point here is that Indian fans have to wait more to experience the beauty of Day and Night test match.